MINI Challenge UK have approached Cartek to supply them with their own Custom Power Panels as well as Battery Isolators and Rain Lights. 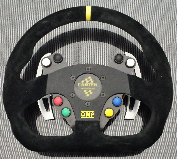 We are pleased to announce that we can now offer gear-shift paddles with our Wireless Steering Wheel Controls. This arrangement offers 6 pushbutton control channels and 2 wireless paddles for interfacing to any semi-automatic gearshift system. 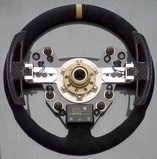 Developed in conjunction with Lotus and tested by Martin Donnelly. 10/01/14 CARTEK ROADSPORTS ENDURANCE SERIES 2014. We are proud to announce that we will again be the title sponsor for the 750 Motor Club Roadsports Endurance Series.